Recreational reading takes a dive for boys at age 8. And only 24% of 14- to 17-year-olds say they read for fun throughout the week. Those that do only spend around 20 minutes reading. Meanwhile, children are spending more than two hours every day on tablets and smartphones. Reading helps children develop empathy. It broadens their scope of the world. It gives them a sense of belonging and can stave off loneliness. Can you think of anything middle-schoolers need more? There are just as many books for kids that are older as there are picture books for kindergartners. The key is finding good ones that will hold your tween’s interest. Here’s an all-inclusive list of books to read before turning 12. It’s been said that Harry Potter got boys reading again. And for good reason. The series by J.K. Rowling has something for everyone. There’s magic, love, adventure, and growing up. There are heroes and heroines alike. The books deal with good and evil, abuse, death, even finding your purpose. It’s almost impossible to talk about Harry Potter without discussing his predecessors. The Chronicles of Narnia are a series of fantasy books, or fairy stories, as C.S. Lewis would call them. It follows three siblings as they encounter magical beasts and evil witches in an attempt to restore good to Narnia. C.S. Lewis believed that because children will no doubt encounter evil in their lives, it’s important they’ve also heard of brave knights and courage. The Hobbit tells the story of Bilbo Baggins, a somewhat hairy little fellow on a quest for treasure. He encounters slimy goblin-like creatures, talking spiders, and fights a dragon. He also has the hobbit habit of gobbling up food all day. Another fantasy adventure tale, The Phantom Tollbooth follows Milo through the Kingdom of Wisdom. With his friends Rhyme and Reason, he tries to redeem the kingdom’s exiled princesses. The Giver is an age-appropriate introduction to dystopian literature. As 12-year-old Jonas trains for his job as the Receiver of Memory, he comes to terms with the uniformity imposed by his society. Claudia and her little brother Jamie run away from their home in Connecticut to live in the Metropolitan Museum of Art. Throughout their fun adventure, they hide among visiting school groups and take baths in the fountain. Every child should have a bit of Roald Dahl in their library. This book centers around a pheasant hunt which Danny and his father William try to supplant. Hatchet is a survival story about a boy named Brian who is the sole survivor of a plane crash. With only a hatchet given to him by his mother, he learns how to build a shelter, catch fish, and make fire. Caddie Woodlawn is a little Wisconsin girl in the 1860s. Her precocious nature gets her in trouble sometimes, but it also comes in handy. Her friendship with the local Indians figures prominently in the fun and funny retelling of frontier life. Judy Blume’s first Fudge book is a classic book for 4th grade. In this story about brothers, nine-year-old Peter feels terrorized by his two-year-old brother, Fudge. An accident with Peter’s pet turtle proves to be the last straw. The Westing Game is a murder-mystery that brings together 16 disparate heirs of Sam Westing. Together, they attempt to solve the puzzle of his will and the mystery of his death. Esperanza Rising is historical fiction set during the Great Depression. After Esperanza’s wealthy father dies in Mexico under suspicious circumstances, she and her mother migrate to America. Together, they work in the fields as Esperanza learns how to overcome challenges in life. After Stanley is wrongly accused of stealing, he ends up in a juvenile work camp. He and fellow inmates have to dig huge holes every day under the guise of developing character. But Stanley suspects there’s something hidden underground. Christopher discovers the lifeless body of his neighbor’s dog. He then sets out to solve the mystery, keeping track of the clues in his “murder-mystery novel.” The book also deals with conflict with parents and how it feels to perceive the world in a non-conforming way. This graphic novel for kids intersperses a Chinese folktale with the story of Jin Wang, the son of Chinese immigrants. It presents the challenges of embracing your culture and fitting in. Jerry Spinelli tells the story of an orphan in Pennsylvania. Jeffrey is known for being fearless and athletic. The book deals with racism, homelessness, and pizza allergies. The Lightning Thief is the first in a fantasy series that uses Greek mythology to tell modern stories. After discovering that he’s the son of Poseidon, Percy and his friends have to find Zeus’ lightning bolt and stop a pending war. Bud is a ten-year-old in foster care in 1930’s Michigan. After running away to escape bullying, Bud takes up with a jazz band and learns more about his family. Based on a comic strip, Big Nate details the school antics of a detention-prone cut up. An unlucky day gets unluckier as one mishap tumbles into the next. Anne Frank’s diary is often a student’s first encounter with the Holocaust. The first-hand, relatable account of her time in hiding cuts right to the quick of a young heart. It will never stop being a book pre-teens should read. I Am Malala covers Malala’s life before and during the rise of the Taliban. As a young activist for education, she is targeted and ultimately shot by insurgents. The first of three graphic novels about the Civil Rights Movement, March: Book One tells the story of John Lewis. When John, as a young boy, discovers the chasm between the lives of white children and black children in the U.S., it starts his journey to become a civil rights leader. 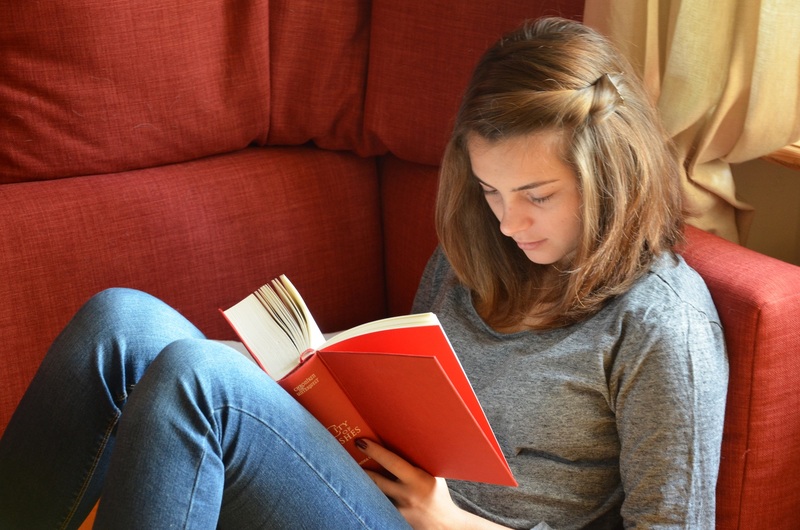 Are you hoping to keep your children reading into their teens? If you find engaging books for kids, you’re well on your way. Books provide a companionship that apps and screens can’t begin to match. It’s our mission to shape a generation of readers. If you’d like more help shaping your next generation, send us a message.